A growing number of social media users are not able to keep up with the large time commitments required to properly engage with their followers. One of the biggest mistakes social media users can make is not posting content frequently or regularly enough. Failing to post often will hurt bloggers trying to grow their follower counts and reach new audiences. Sadly, these errors above can be very costly for social media users, preventing them from growing and preventing them from generating revenue off of their social media accounts. However, there is good news. You can avoid these errors by putting in the hard work now by finding the best social media management tool to suit your needs. But simply downloading these tools is not enough. It is vital that you learn how to use these tools and optimize them for your needs as well. Doing this will ensure success for your social media accounts whether they are for business or personal use! Social media management tools are innovative applications that have recently been developed in the past ten years to increase productivity on social media platforms. A social media management tool is an application that allows users to customize their social media experience and analyze their numerical data in-depth. This means creators have more time to focus on other important tasks such as content creation and online marketing rather than updating their social media accounts. As we will cover in a later section, some social media management tools include the ability to schedule posts to be released at future dates and specific times which allows the social media user to plan out multiple posts at a time. Other helpful features include the ability to automatically reply to user’s messages. Unlike other advertising tools, social media management tools allow for more flexibility when scheduling for the user when utilized correctly. You can try all of the available social media management tools on the market, but most users find it optimal to start with the all-in-one tools that provide functionality for multiple social media platforms like Twitter, Facebook, and Instagram into one complete package. Below is a list of the top ten best social media management tools of 2018. 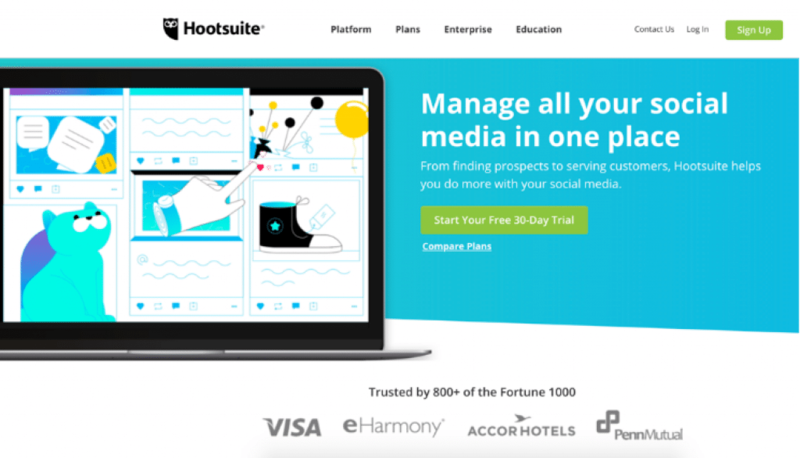 Coming in at the number one spot on our list of the ten best social media management tools is the incredibly popular and powerful software Hootsuite. This innovative and revolutionary management tool changed the way social media marketing is conducted. This social media marketing and management software puts all of social media users content into one convenient location. A streamlined dashboard ensures access to all of the user’s accounts in a systematic fashion. Hootsuite is used by popular companies such as Visa, and eHarmony to handle all of their social media marketing efforts. Social media users and managers are able to save time by scheduling their online posts in advance, and in mass-quantities. This allows users to keep their online presence “turned-on” at all times. Users are able to post hundreds of posts all at once, across all of their various social media accounts and platforms. 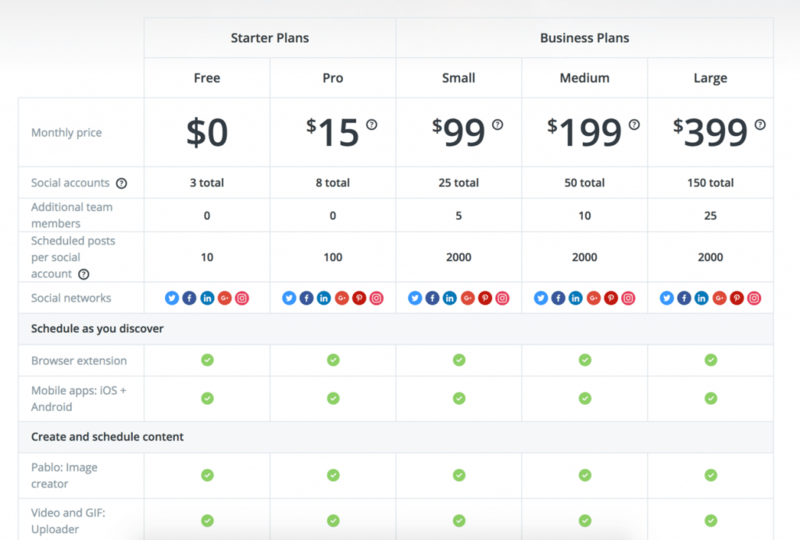 Hootsuite offers several different pricing plans for interested users. Individuals can take advantage of their “professional” plan which is billed monthly and allows for up to ten social profiles. Social media managers, marketers, and businesses that need a management tool for more accounts than that should look into one of the three plans for teams and organizations. These plans allow for multiple users, and unlimited scheduling. In summary, Hootsuite is the number one available social media management tool on the market today. Hootsuite provides support for all platforms, multiple accounts, automated scheduling, and powerful social analytics. This should be the number one choice for social media users regardless of their size or goals. Hootsuite is a reputable company with excellent support, and along with Google they currently are one of the leaders within the social media marketing industry. Those social media users who use the accounts for their businesses and are interested in sales and lead generation should check out HubSpot. This tool is the most highly recommended social media management tool for businesses to use. This popular software allows social media users to transform relationships on social media into leads and sales. Because of these capabilities, Hubspot has been named our best social media management tool for businesses. Proving ROI has never been easier before. 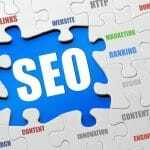 Hubspot helps users create targeted and relevant content for their posts using SEO-themed marketing strategies. Employing Keyword research and planning tools, Hubspot is able to offer social media users the tools they need to utilize their social media accounts for business purposes. Hubspot is able to drive traffic to social media users external websites and business pages. 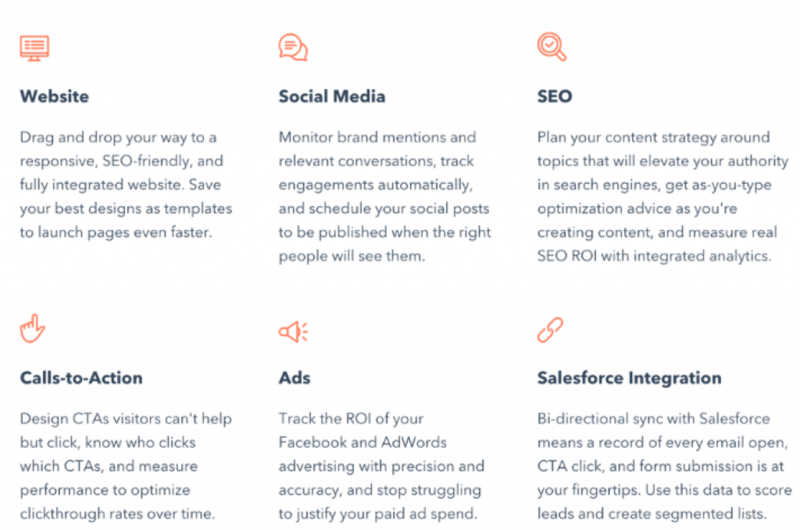 Hubspot provides all the essentials that users need in a social media management tool. This software provides support for most social media platforms, except Pinterest. But, the good news is that Hubspot also provides blog and email functionality for its users. This social media management tool is a great option for social media managers and online marketers looking to use their social media accounts to promote their businesses. 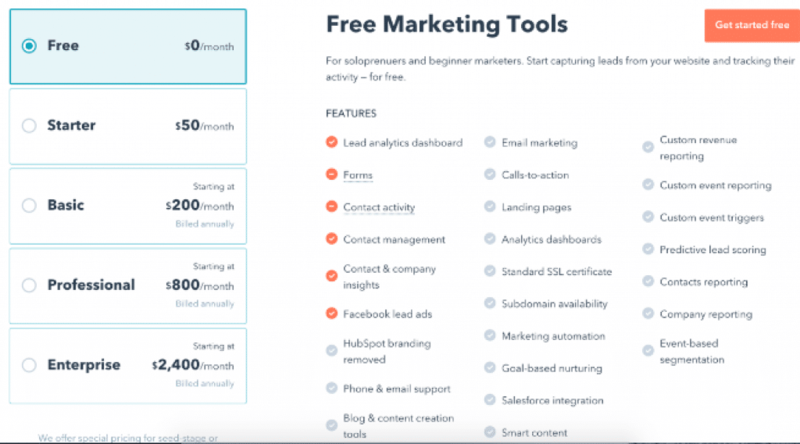 Hubspot has an attractive free model of their tool that can get users started with social media management tools. The free option boasts popular features such as analytics, email functionality, but it does not incorporate all of the features. Social media users looking for a more complete and robust experience should consider upgrading to one of the paid versions of the software, such as the Professional or Enterprise model which enables features like advanced scheduling, and search engine optimization strategies for content creation. 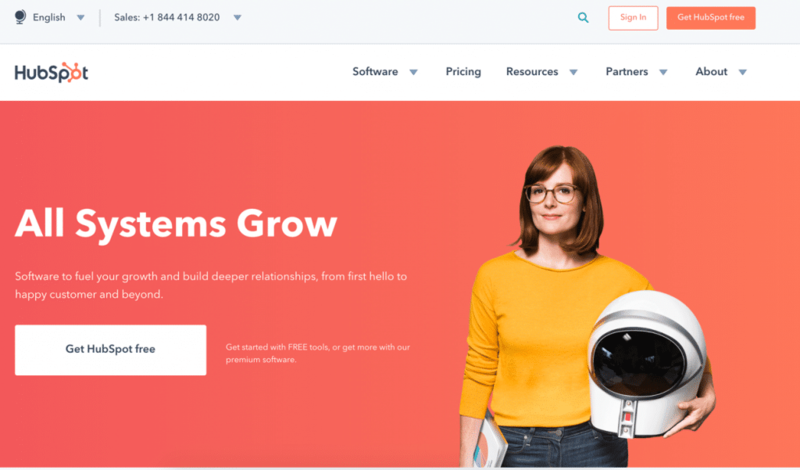 While Hubspot may not be ideal for social media users who only have a few accounts, it is a great option for business and enterprise users who need a social media management tool for large-scale use. 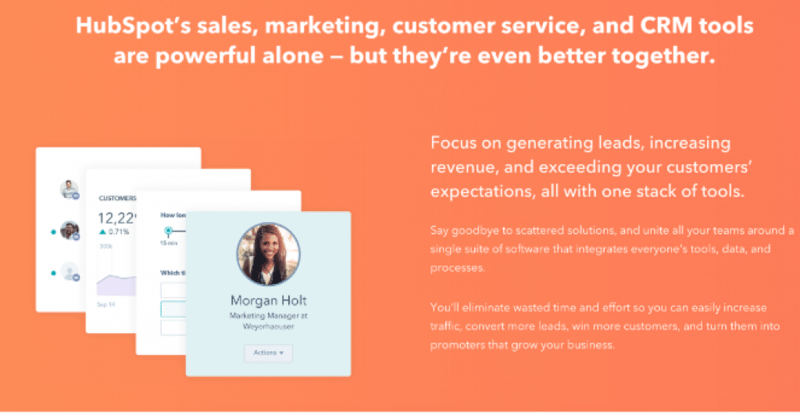 Hubspot has earned the top spot for users looking for a social media management tool that can work successfully in conjunction with their online business or sales operation. Social media users who predominately stick to Twitter will want to look no further than TweetDeck for their social media management needs. TweetDeck is operated by the creators of Twitter and is a wonderful extension to the social media platform. 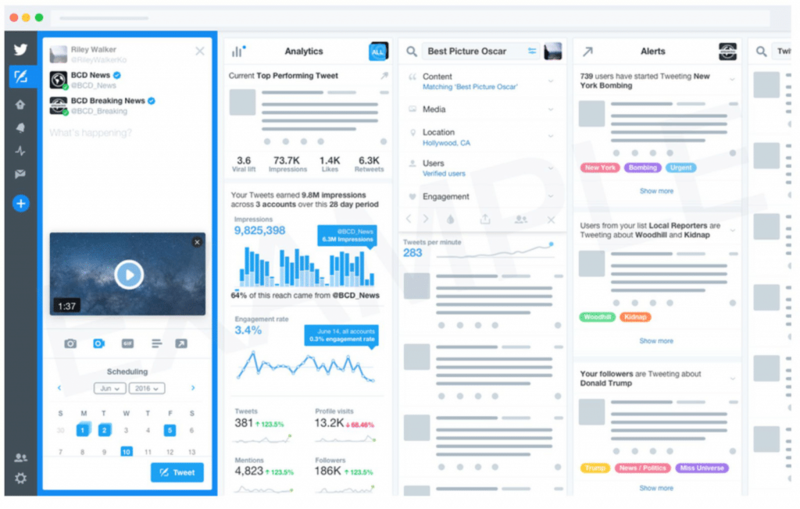 This social media management tool enables users to manage multiple twitter accounts in one easy to manage dashboard, tweeting and tracking analytical information of multiple accounts at once. 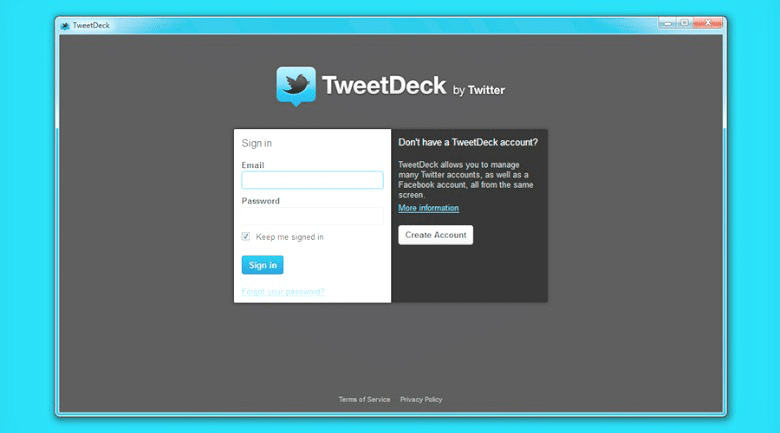 TweetDeck is the number one social media management tool for Twitter. This popular and free option is a great choice for any social media user who is looking to add to their social media management toolbelt. This management tool is very simple. It provides functionality for one social media platform, and that is it. 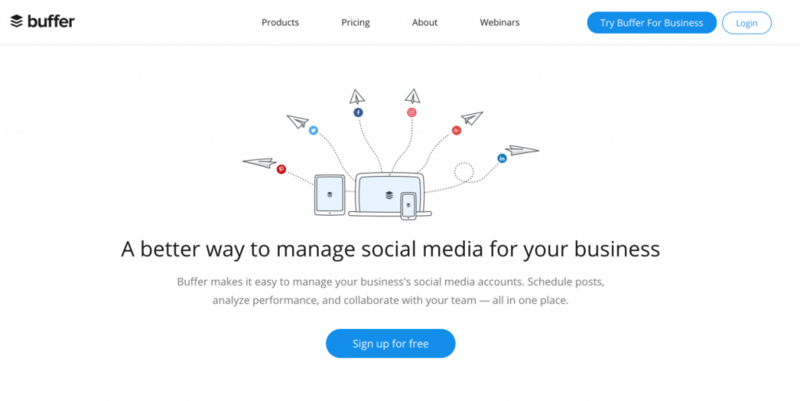 Inexperienced social media users and account managers may want to look into Buffer as their preferred social media management tool. Buffer supports functionality of all the major social media platforms, and also supports multi-account capabilities. Buffer has an easy to navigate dashboard and is easy to learn for beginners, making it our top choice of social media management tool for those users just starting out. This management tool provides advanced scheduling features and the ability to publish directly to social media platforms. In addition, Buffer provides mobile support and browser extensions to make the social media users experience efficient and expedited. Along with key engagement data and metrics, users of Buffer are able to analyze their data and create solutions to generate future engagement and growth for their accounts. The pricing model for buffer depends on how many accounts the social media user has. Users with only a few accounts can take advantage of the cost-effective starter plans. Social media users and managers with lots of accounts to manage will need to select from one of the three available business plan models which allow for more accounts, and access by more team members or employees. Buffer is one of the best social media tools for beginners who want to have access to all of the social media platforms in one software. Although the features for each platform are not as in-depth as some competitors, this is still a great option for someone who needs to implement the use of a social media management tool. This spot on the list is a wildcard because Google Analytics is not your typical social media management tool. Google Analytics can be used to evaluate any online site, application, or digital channel; not just social media accounts. This management tool is all about the analytical data and advanced reporting that drives online marketing and advertising. Google Analytics has helped users transform their insights into actionable results. Google Analytics cannot satisfy all the needs of social media users and managers though. The tool lacks other popular capabilities such as advanced scheduling and automation. This tool is useful for those social media users who plan on using multiple social media management tools at once. In conjunction with other management tools, Google Analytics is a must-have for social media users and online marketers. Used by popular organizations such as National Geographic and Mercedes-Benz, Google Analytics consistently provides users with the analytical solutions needed to increase engagement. This tool provides users with important data such as click-through-rates, engagement rates, and conversion rates. It is vital for social media users to analyze their statistical data and generate insight from these numbers. Some of the most innovative and popular social media users credit their success to being able to interpret their accounts analytical data. Arguably the best feature of Google Analytics is its advanced data visualization capabilities with the Google Data Studio. This allows the social media user to generate and share fully customizable reports and dashboards to view their accounts. Transforming raw data into reports can often be difficult for social media users, but the Google Data Studio has made it easier than ever. Google Analytics provides industry leading analytical services that are essential to social media users success and future growth. Arguably the most attractive option about Google Analytics is the free price point. If your pages receive less than five million impressions per month then the service is free and the only cost is that you share your data with Google. This data exchange has led Google to become the world’s data leader and their support is top-quality for customers. Google Analytics is the ultimate statistical tool for social media users looking to increase engagement. Although it may not be considered a traditional social media management tool, Google Analytics is essential for users hoping to manage their social media accounts in a professional fashion and generate larger audiences. Taking advantage of this free tool will allow social media managers and personal users the ability to really grow their social media accounts and online presence. Users that are looking for a one size fits all solution for social media management should select MavSocial. This tool supports functionality on all of the major social media platforms combining them into one convenient and easy to read dashboard. This application allows users to see all of their accounts at once and can be very helpful for you when you are trying to see the bigger picture of your latest marketing campaign. Although MavSocial has some incredible features and allows for functionality with all of the major social media platforms, it is lacking in several areas. The tool currently lacks social media monitoring capabilities that some other tools have, which can limit engagement efforts. But, the development team has stated that monitoring functions are coming soon. If this is a large factor for users, they may want to consider other options. With that said, MavSocial remains a solid option for those who need a social media management tool that works on all of the major platforms. This tool boasts content curation abilities that many of the other management tools are lacking. This is a nice option for those creators who need help with their content curation and some of the features include a large stock image library, as well as access to an expansive RSS feed. MavSocial also includes asset management tools that help the user store and categorize their digital content. One of the coolest and most advanced features is the AI Image Recognition Technology which sorts images by their content and subject. Some of the most impressive and useful features of MavSocial are the scheduling and automation capabilities. The tool has a very popular Campaign Calendar function which allows users to schedule, preview, and post their posts in advance. This advanced scheduling option in conjunction with the campaign calendar dashboard allow users to ensure their content is consistent across all of their platforms. Users who want to test out MavSocial for themselves should download the free trial. 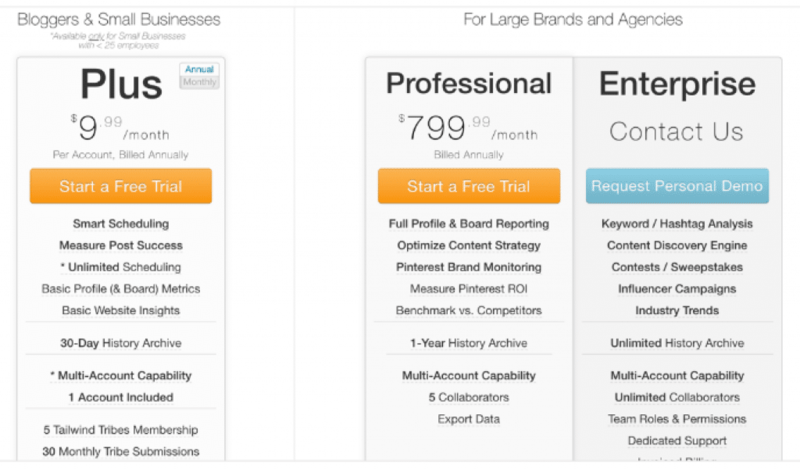 There are different pricing options available for social media accounts of all sizes. Inexperienced users who are just starting out can take advantage of their free “individual” option but it does lack several key features such as reporting and bulk-uploading. More experienced social media users with larger audiences, or social media managers with large businesses accounts should look into the paid options of MavSocial which include several versions billed either monthly or annually. This service is a great option for those people that are looking for a well-rounded social media management tool. This tool enables functionality across all of the major social media platforms and has some advanced innovative features such as AI Image recognition technology. But the software is lacking a few features that some other tools do have. If users can get past this flaw, then MavSocial can be a great option for them to use. Tailwind is an excellent social media management tool available to users and is our highest rated tool that is tailored for Pinterest functionality. This powerful tool is a one stop shop for Pinterest and Instagram users and the application boasts advanced scheduling functionality, content and trend monitoring, as well as advanced analytics. This powerful tool is a great solution for users who are heavily engaged in Pinterest and Instagram. However, there are two major downsides to this tool. Tailwind does not offer support for Facebook or Twitter. How disappointing, right? While this isn’t a deal-breaker for everyone, some social media users and managers prefer their management tools to provide functionality for all of the major social media platforms especially Facebook and Twitter. Ultimately, it is up to personal preference and the best way to determine which strategy is the best for your needs is through first-hand experience. 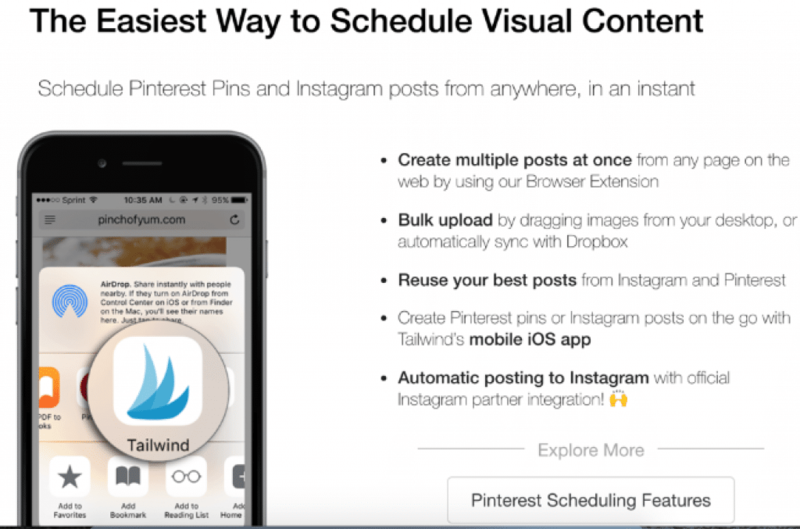 Tailwind does offer some of the industry’s leading social media management functions for Instagram and Pinterest to take advantage of though. One of the software’s most popular features is advanced scheduling, which can initiate certain content to be released at later dates and specific times. The tool also offers advanced analytical features to track follower engagement, and other important statistical data. Understanding and interpreting this data is crucial for social media users looking to grow their accounts online presence and drive traffic to their accounts. This software has been optimized for social media users who are active on Pinterest and Instagram. Pinterest is a popular social media platform that allows creators to generate content which is then “re-pinned” by other users. The posts can spread like wildfire and it is important to monitor these trends. These posts are very similar in form to the photos on Instagram and their hashtags. Tailwind does an excellent job of monitoring Pinterest pins and Instagram hashtags to identify trends and popular content. This social media management tool allows users to quickly and efficiently monitor what is currently popular with the software’s advanced trending content and interest heatmaps functions. 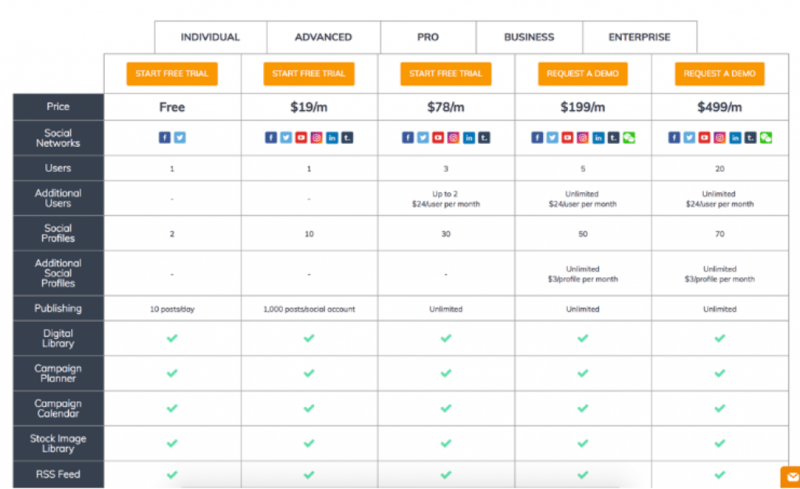 This social media management tool offers two different pricing models. The “Plus” solution for small businesses and personal bloggers operates on a modest monthly pricing option, while larger businesses can select the more expensive “Professional” and enterprise options which are billed annually. Although Tailwind lacks functionality for all of the major social media platforms, it is still an excellent choice as a social media management tool. 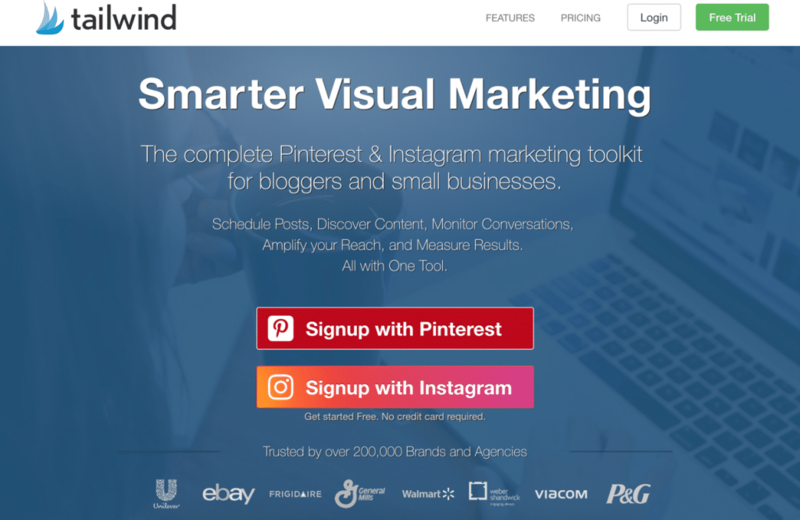 Tailwind provides industry leading social media monitoring tools for Pinterest and Instagram users and over 200,000 businesses currently use the software. In addition, Tailwinds advanced scheduling features are very useful. While it isn’t a complete social media management solution, Tailwind can be an excellent addition to any social media manager’s toolbelt. Social media users that want a well-rounded social media management tool should look at SproutSocial. This service combines popular features like advanced scheduling and direct publishing to deliver a crisp experience for social media users. This application combines Twitter Analytics, Facebook Analytics, and Instagram Analytics in high-quality presentation ready reports making SproutSocial a popular option for social media users with business accounts. Popular companies such as Ticketmaster, Vice, and Macy’s have all utilized SproutSocial’s social media management capabilities. This popular service allows social media users to brand their content on a unified national level, while also replying to local messages and concerns. Responding to users and engaging with followers has never been easier. The popular single stream inbox that SproutSocial provides makes it easy for social media users to see all of their messages in one streamlined format. This includes all of the messages across multiple channels and platforms. This great feature ensures that users don’t forget to engage with their followers! Engagement is a great strategy to grow and build your online presence. 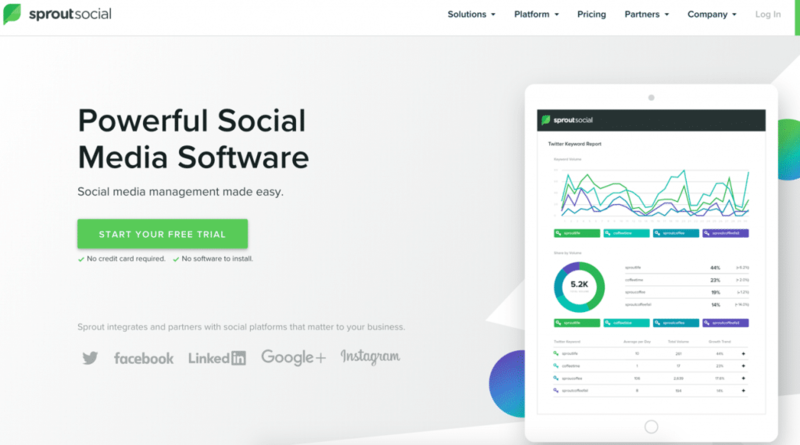 One of the downsides to SproutSocial is that it is very expensive and does not offer a free version, only a limited time free trial. This is certainly not an inexpensive option for users with small budgets and this should certainly be considered if you are choosing between some of the available social media management tools on the market today. 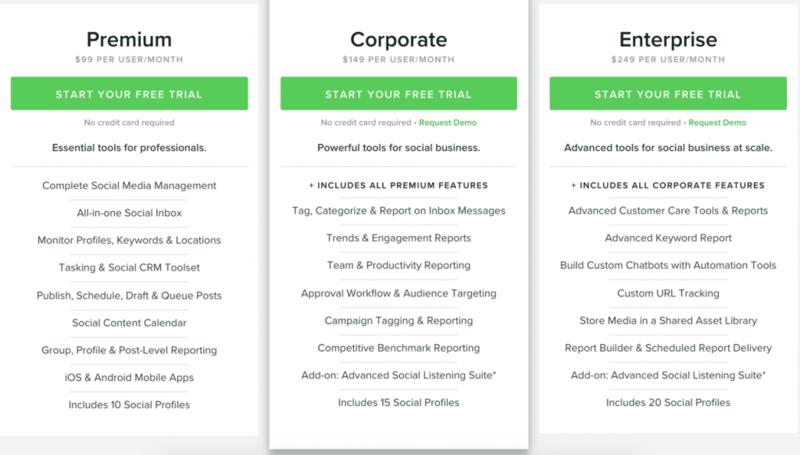 SproutSocial has a three-tiered pricing plan and users with smaller accounts are recommended to select “Premium” memberships while larger businesses should select either the “corporate” or “enterprise” packages. SproutSocial is a well-rounded and high-quality social media management tool. Although It lacks Pinterest functionality, this software is great for social media users who require social media monitoring services. Innovative features such as the single stream inbox provide this software with an easy to read and streamlined dashboard; making it easy for users to reply to all of their various audience members across the multiple different social media channels. Agorapulse is very similar to SproutSocial but is a lot cheaper annually. Offering nearly the same services, Agorapulse is a social media management tool that provides advanced scheduling, and analytics. Just like SproutSocial, AgoraPulse does not provide Pinterest Support. AgoraPulse operates on a pricing plan that is much more cost effective than SproutSocial. But, the reason AgoraPulse Is lower on our list is because SproutSocial has a few more advanced options. AgoraPulse is affordable for social media users who are just starting out but does have upgraded versions that increase the number of social media accounts and users. 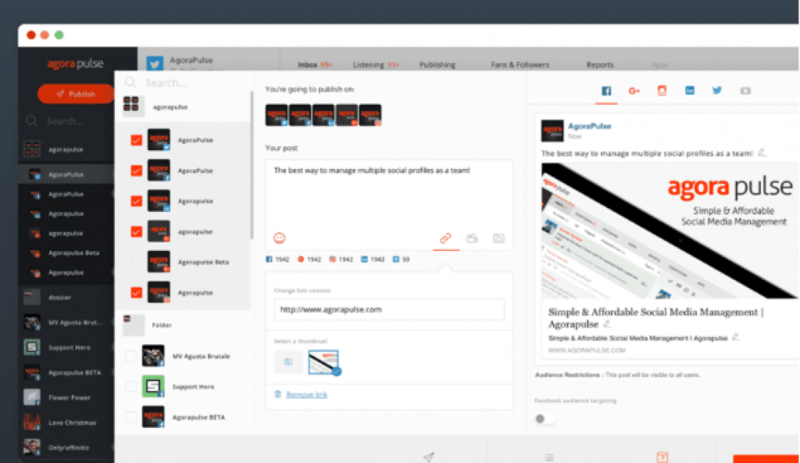 AgoraPulse is a great one size fits all social media management tool and is very similar to SproutSocial. AgoraPulse is a better option for those on a limited budget though. Because AgoraPulse is a very cost effective tool, it can fit the needs of businesses large and small. Sendible is a great social media management tool that provides functionality for all of the major social media platforms. 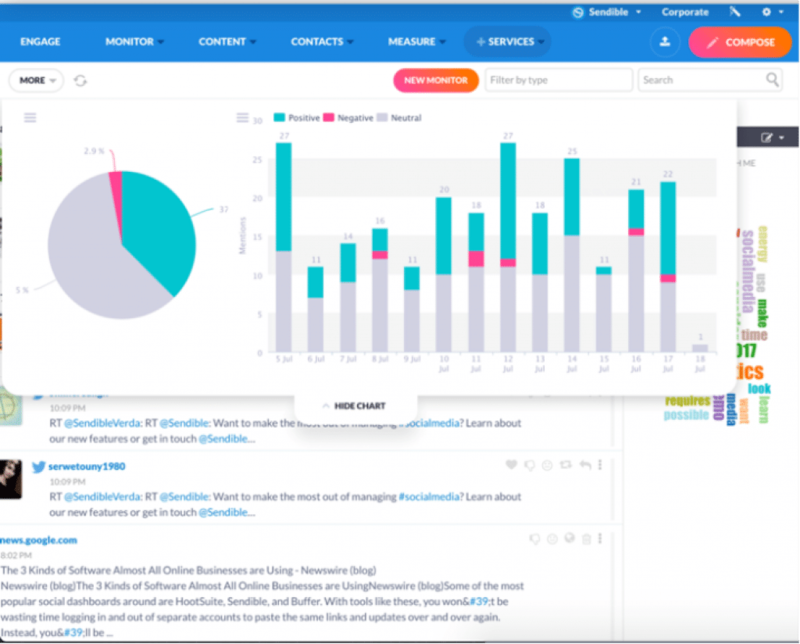 Sendible provides powerful insight for social media users. This social media management tool has all of the normal bells and whistles such as advanced scheduling and automatic posting, but also provides innovative features such as keyword monitoring. Sendible is an affordable option for users with only a few accounts. As the number of accounts and users begin to grow, so does the price. 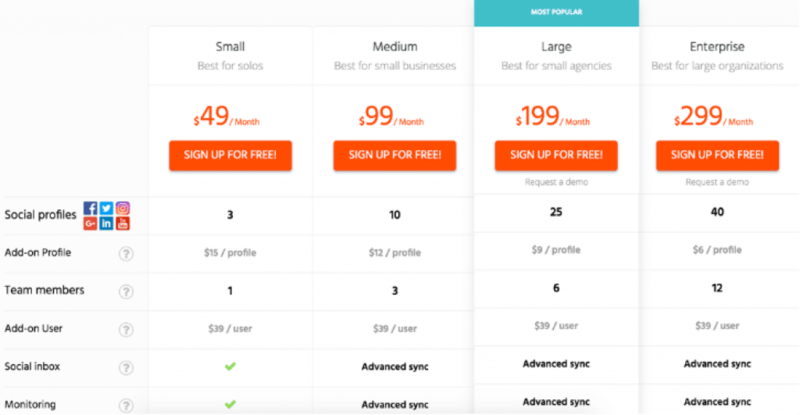 Pricing can be expensive for businesses or enterprise users, and that’s why Sendible is not further up on our list; even though it offers many of the same services as the other management tools on this list. 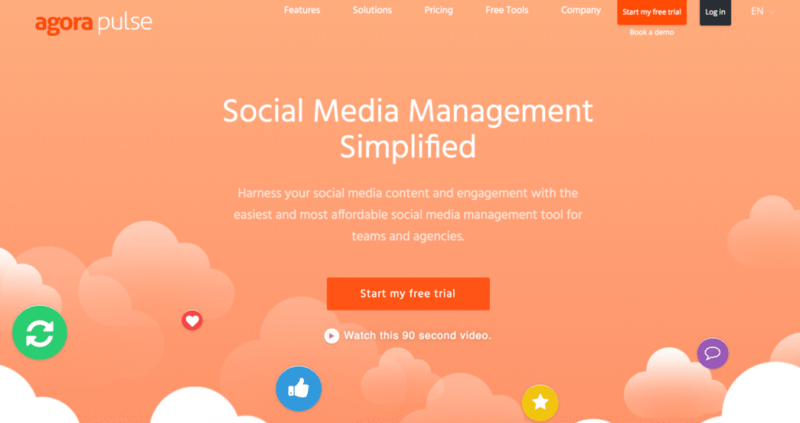 Sendible is a great choice for a social media management tool that can do most everything. This option is very similar to some of the others on this list and determining the best one comes down to personal preference. Many of these tools offer the same capabilities and functions and finding the one that’s best for your own social media account and preferences can take time and experimentation. Thankfully most of the tools we listed offer free trials so the users can figure out which one they like the most. Now that we’ve taken a look at the ten best available social media management tools, we need to help determine which one is the best to fit your own personal needs! Because every social media account is different, and every user has different needs and preferences, it can be difficult determining which social media management tool is the best option to fit your own unique needs. But, following this guide should help users select the perfect tool that fits their budget and accomplishes their social media driven goals. After conducting a lot of research, we have put together this social media management tool buying guide, so you can choose the most effective products to grow your social media accounts popularity at a cost that is right for you. There are several factors that need to be considered before selecting your desired social media management tools. First, the user needs to identify the platform functionality they require – what platform will they be using? Do they want to use Instagram, Facebook, or other social media platforms like Twitter or Pinterest? Next, the social media user will need to determine their budget. While some of the services listed on our guide are free, the majority of these tools are paid tools. Some offer free trials, but the social media user will ultimately need to evaluate what their budget is when deciding among the various tools. One of the other major factors that needs to be taken into account is whether or not the user needs multi-account capabilities. This is important for social media managers who will be running multiple social accounts on the same platform and want to switch back and forth quickly. The very first consideration when selecting the best social media management tool for your needs is platform functionality. 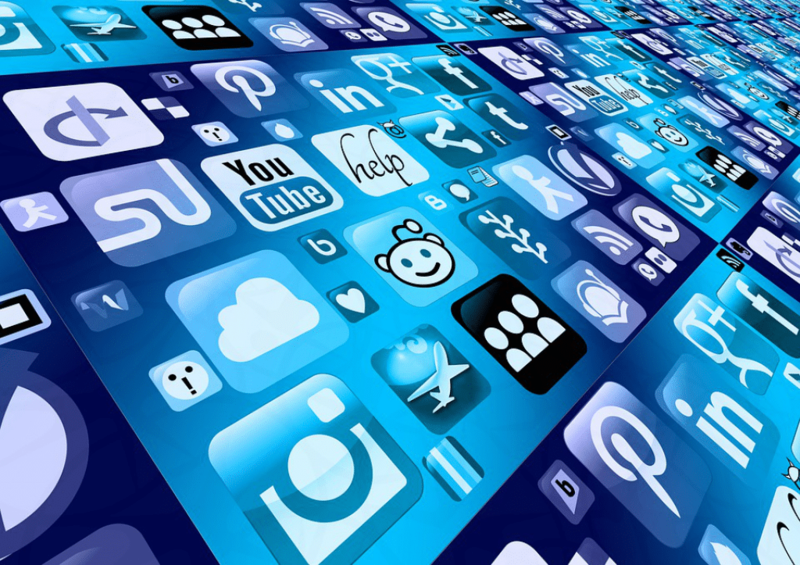 Users will need to determine which social media platforms that they plan on using the most. 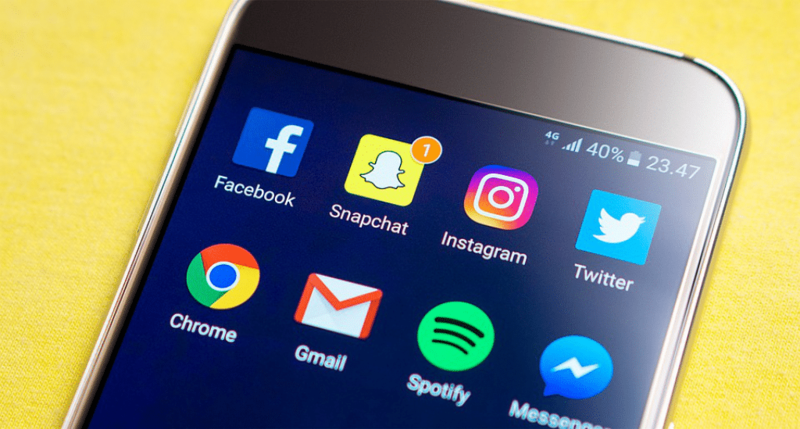 Selecting a management tool that provides functionality and support for all of the major social media platforms can allow for great ease of use. Seeing all of your accounts in one streamlined dashboard can be a great feature for users who like to see the bigger picture. Users who don’t mind employing more than one tool to get the job done can use a combination of social media management tools to increase their awareness and promote their accounts. 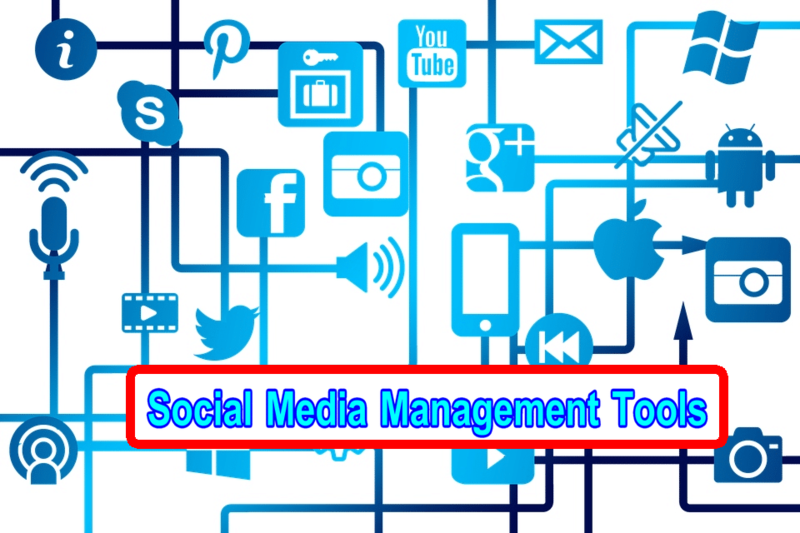 Some management tools are tailored to only one or two social media platforms, but they have excellent functions and tools for their users. In order to take advantage of these advanced features, users may have to use more than one management tool to accomplish all of their desired online goals. One of the first factors to consider when selecting your social media management tools is your budget. Users will need to determine exactly how much they are willing to spend on these tools. Some of the options listed in this list are free and offer high-quality service at no charge. However, most of the tools on this list are available on a paid subscription-based service model. Smaller social media users and businesses can usually get away with the more inexpensively priced tools on this list, while larger businesses and social media managers may need to think about upgrading to some of the professional packages that are available. Social media managers who are interested in running multiple accounts on the same platform will benefit greatly from a social media management tool that supports multi-account capabilities. This ensures that the user will be able to quickly and efficiently switch between their various accounts while using the tool. Smaller social media account users with only one account on each platform won’t need to worry about this function as much as its more for professional social media marketers and large businesses. Users looking to select social media management tools for their business or personal needs should follow the three tips above. Considering these three factors when deciding between the various management tools will ensure that the user selects the best option for their own personal needs. What Type Of Posts Do I Need To Create To Be Successful on Social Media? Posts on social media need to be engaging, well-planned, and properly executed. Deciding on the content you want to use for your posts is entirely up to you. It’s often effective to find a niche audience with a few select targeted interests and demographics. It’s important to deliver a consistent voice and tone throughout the written social media posts. This provides a feeling of uniformity among the various platforms and their postings. Pairing well-written content with beautiful imagery is often the best recipe for success for social media users. Because content creation can be so time consuming for social media users, they have little to no time to actually handle their other social media related duties. In order to stay on top of their responsibilities, social media users and managers need to use social media management tools to stay up to date. Responding to comments, scheduling posts ahead of time, and some of the other helpful management tool’s functions listed in the guide above are essential for ensuring social media success. How Important Is Engaging With Followers And Responding To Comments? Engaging with followers and responding to their comments, questions, and messages is very important to the overall success of social media users. Engagement is the best form of interaction you can have with your followers and it adds a very personal touch. Some of the most popular and successful social media users give credit to follower engagement as one of their pillars for success. Because engagement is so crucial, it’s essential to use a social media management tool like one of the ones listed above. These tools will help you monitor your social media accounts and ensure that no comment goes left unanswered! What Are Other Ways I Can Grow My Social Media Presence? Cross promotion from your own blog or website is a great way to grow your online social media presence. Selecting a social media management tool is only the beginning of growing your brand and reaching new target audiences. These tools will enable you to create and share content quicker, and more efficiently but there is still more to be done. Be sure to continue your other digital marketing efforts and engage in other promotional strategies to increase your online account’s exposure and generate new followers! When it comes to selecting a social media management tool to fit your needs, there are a lot of factors to consider. Because these tools are so important to the success of social media marketing strategies, we know how essential it is to select the most efficient and engaging tool for your business or personal accounts. After analyzing the products on the market, and researching their reputability and reviews, we were able to generate this list of the ten best tools on the market. Any social media manager, online marketer, or individual looking to grow their online social media presence should take advantage of the management tools listed in this article. Following this buying guide and reviewing the FAQ about these tools will help interested parties find the perfect tool to fit their needs! 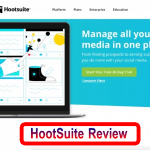 HootSuite Review - Is HootSuite really the #1 Social Media Management Tool?